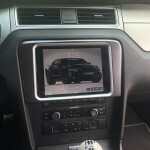 The iPad Mini & Nexus 7 Mustang Dash kit fits 2010, 2011, 2012, 2013 & 2014 Ford Mustangs; with or without factory navigation. 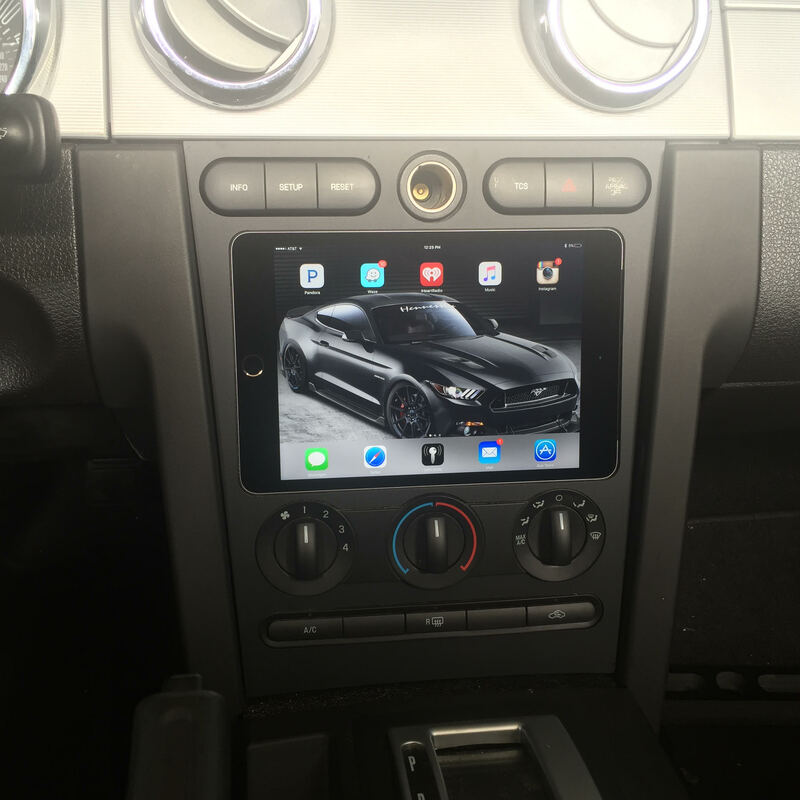 The iPad Mini & Nexus 7 Dash kit goes right over the factory radio and is removable held in by neodymium (super strong) magnets. We have installed Felt over the back of the magnets on the kit so it will not scratch your factory radio. 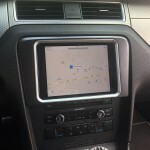 Your iPad/Nexus 7 connects to the factory system via Bluetooth and allows you to use the factory radio’s volume controls and steering wheel controls. 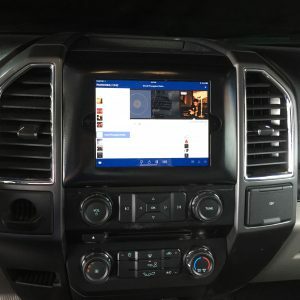 If you do not have Sync, or have sync and would like to retain the Bluetooth for cell phone, you can simply buy a Bluetooth to aux adapter that plugs in your aux jack in the center console and charges via USB on our site for $39.99 and Bluetooth from the iPad to your aux in. NOTE that iPad mini’s charge at 2.1 amps, so a standard iPhone lightening adapter will not charge it. We also sell the 2.1 amp adapters on our website for $19.99. ATTENTION!!!! : In order to integrate your factory or aftermarket back-up camera with your iPad or Nexus Tablet, you WILL need our WiFi Integration Kit!!!! You can find it under the “miscellaneous” category, or add it from the checkout page. This is a MUST-HAVE, and to be honest, it’s just freaking fancy! ***DOES NOT COME WITH AN IPAD OR A NEXUS 7. YOU MUST PROVIDE ONE! **Absolutely no modifications are done to the factory radio so everything stays factory. Thank you guys at ADCG! I ordered this product from a page on instagram. At first I was a bit nervous about it and was not sure if I did the right thing. Shipping was really quick and the product is amazing!! 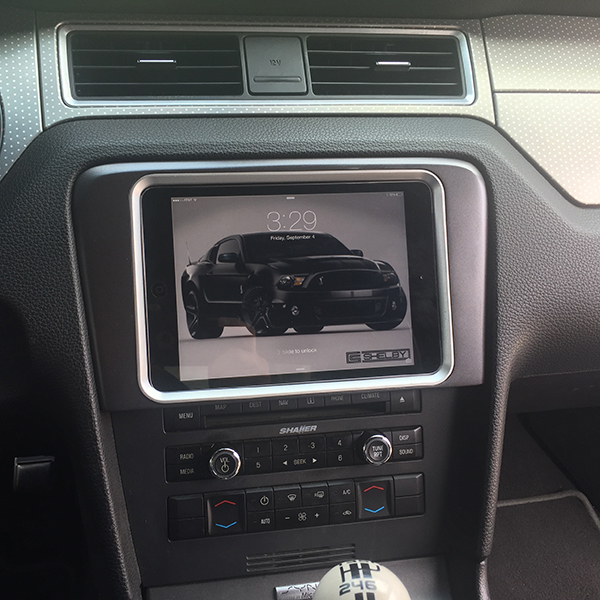 It was super easy for me to install, it looks like my stang came with it from factory, and it changes the dash of the car completly! 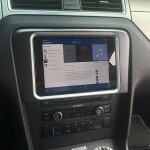 Makes the car inside look like a luxury car! I would recommend this product to anyone who wants to make their mustang stand out! 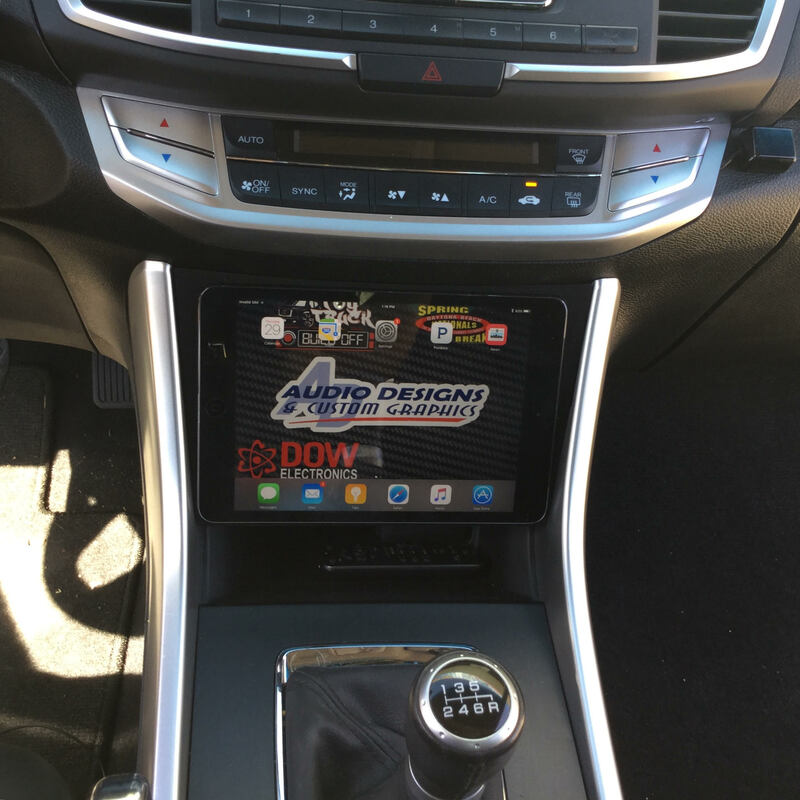 I take my car to car shows and I love how much attention it gets because of the ipad! Great product, and a great company! Will be buying more from them! Great product. Great customer service. 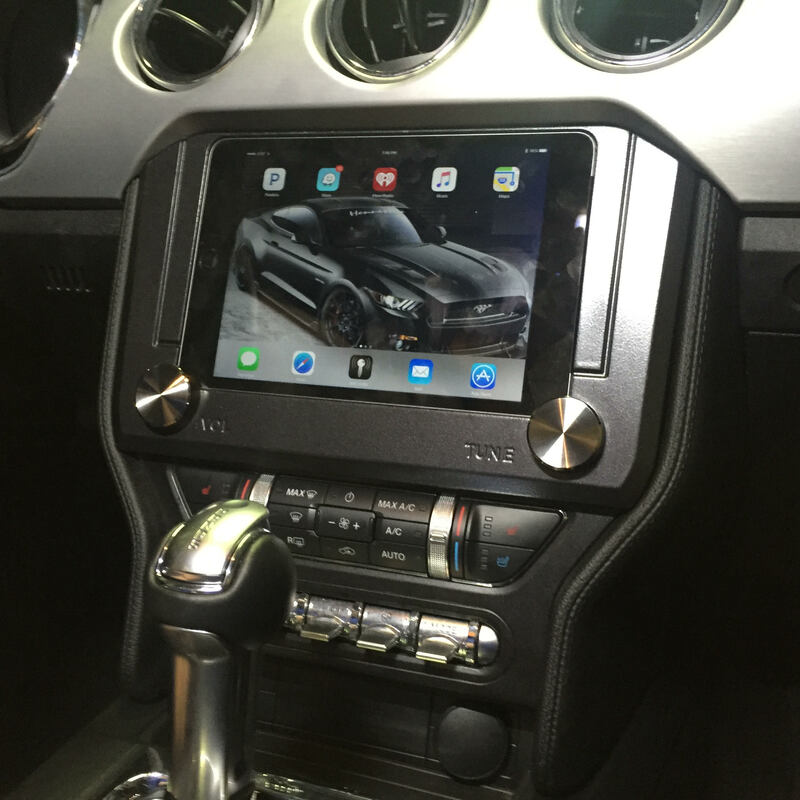 Love my iPad mini mount for my 2014 mustang GT.